Challenge # 107 - Easter! Å herlighet for en deilig tuppe dette var da. Vilket härligt kort!! Jättefina färger! 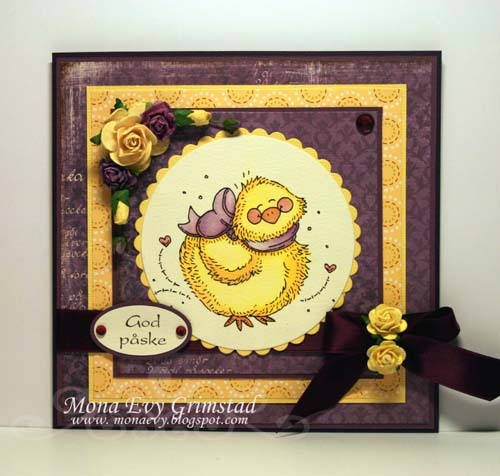 So gorgeous card Mona,I love the image and the colours. Oh my goodness! Your card is so cute! I love the colors you used.